In an old dusty attic box, two siblings rediscover items that remind them of Mommy's kitchen many years ago. 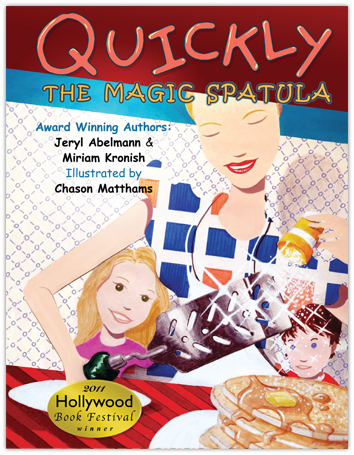 One special item is Quickly The Magic Spatula. Discover how he got his name, and what makes him so special! A 2011 Hollywood Book Festival Winner!